Welcome to the VSI Product Certification Program's Official List of Certified Products and Colors. This list is updated when changes occur to provide the most complete and current listing of products that have been certified to meet or exceed ASTM standards through VSI's program. Products that appear on this list have met or exceeded all the requirements of ASTM D3679 for vinyl siding, ASTM D7793 for insulated siding, or ASTM D7254 for polypropylene siding, as verified by an independent quality control agency, including unannounced plant inspections twice each year. 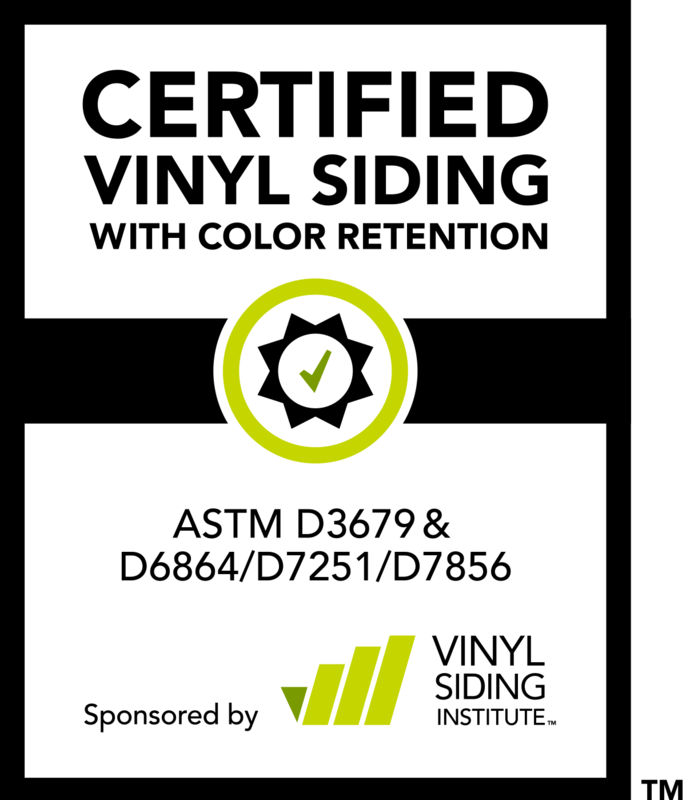 Certified vinyl siding and insulated siding listed may also include colors that have been certified to meet or exceed the color retention requirements of ASTM D6864, ASTM D7251, or ASTM D7856. Certified polypropylene siding listed may also include colors that have been certified to meet or exceed the color retention requirements of ASTM D7856. Click on the symbol next to product names, where applicable, for a complete list of certified colors. Click here to learn more about color retention certification. To view the list, please select the category below that best suits your needs to sort results by that category. You can also search for a specific company, brand, or product name to determine certification status by using the "search" function at the top of this page. Or use "search" to identify which brands and products are certified for a particular type of siding (for example, type in "double 4" or "shake" to view all the brands and products that are certified in these categories, "insulated" for all certified insulated siding, or "polypropylene" to see all certified polypropylene siding). NOTE: The companies and products listed in this Official List of Certified Products and Colors are for certified siding products only. VSI also sponsors the VSI Certified Installer Program.